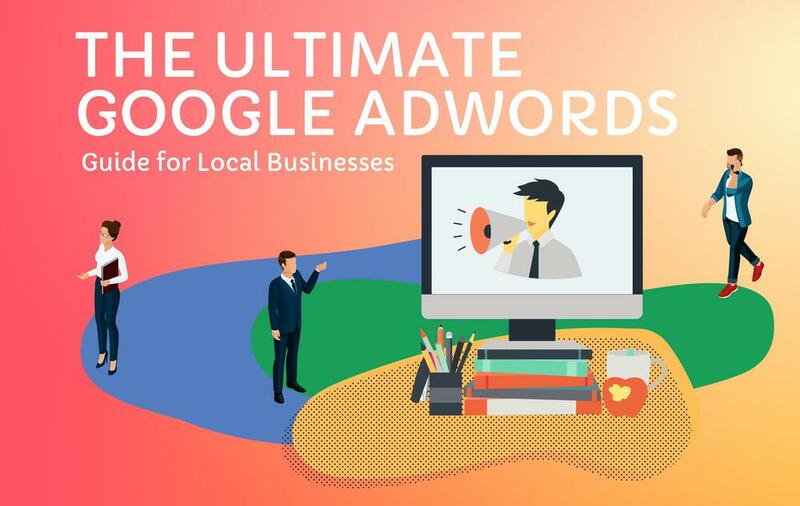 For local businesses, Google AdWords is a remarkably valuable tool for attracting website traffic and turning web users into potential customers. Think of it as your golden ticket to the first page of Google’s search engine results. Used strategically, this golden ticket has the potential to drive serious growth, making it a core part of your business’s digital marketing strategy and a must-have practice if you want to compete with other local businesses, as well as national and global brands operating nearby. For example, how can a locally owned coffee shop in Bangkok compete with Starbucks for web searchers’ attention? With a well-planned Google AdWords campaign, you can capture the attention of potential customers who may not already be familiar with your business, giving your local café, bookstore, print shop, hotel or other business a whole new pool of potential customers. Which means more revenue for your business – without having to invest in an expensive, risky advertising campaign. On average, businesses bring in $2 of revenue for every $1 spent on AdWords. If someone is searching for your nearby product or services, make sure they find your business at the top of Google’s listings. Whether you use professional AdWords management in Bangkok or not to get your local business noticed, it’s important to understand how Google AdWords works and what it can do for you. Google AdWords can be used in addition to your search engine optimisation (SEO) efforts to bring traffic to your business’s site. Where SEO will garner organic traffic, your AdWords pay-per-click (PPC) ads will attract web traffic by showing relevant ads – which revolve around the same or similar keywords you or your Google AdWords agency in Bangkok are already probably using for SEO purposes. As a local business, you should be using localised terminology to help connect potential customers with your business. 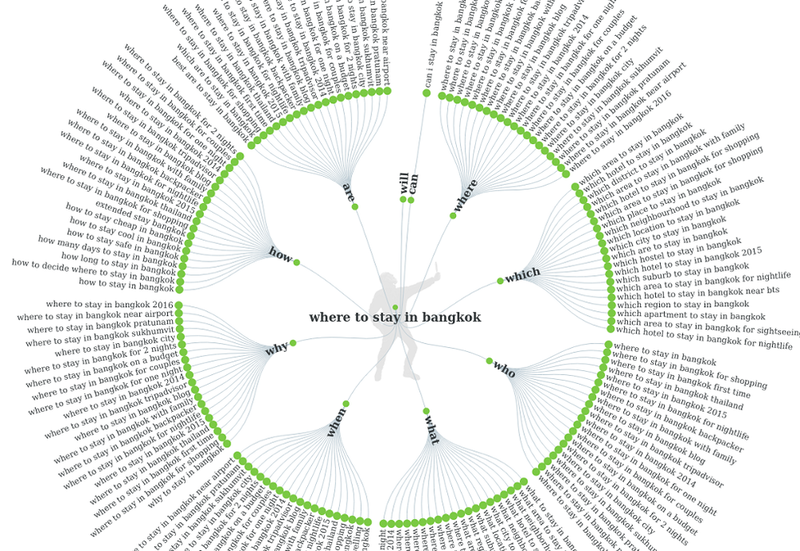 Local terms like ‘bangkok’, ‘thonglor’ or ‘bangrak’ make it easier for searchers to find the nearby products or services they are looking for. For example, expats looking for a place to send their children whilst living in Thailand may search for ‘international school bangkok’. As you can see, St. Andrews International School shows up ahead of its competitor, ISB, because it is running an AdWords campaign. Searchers will see St. Andrews listed above any other option, putting this school in the perfect position for attracting web traffic, and, if their website’s landing page is well set up, for converting some of that web traffic into leads. Here’s where you can see how there is so much potential for local businesses. When someone searches on their mobile phone or other device for a local service, restaurant or shop, Google will display ads at the top of the search results, giving AdWord users priority attention. This means, the web user gets the precise information they need at the top, making it less likely for them to bother looking further. It is also much more likely they’ll simply click on your ad and, at least, check out your website before trying the next results. Everyone wins, which, ultimately, is Google’s goal in creating tools like AdWords. It creates a better search experience for web users. How can using an AdWords PPC campaign benefit your local business? • AdWords gives you the power to better target your audience, focusing on potential customers in the area who are looking for your type of business. • It helps you reach customers who may not have otherwise known about your business. • You may be able to show up more than once on the first page if your business ranks well organically, giving your local business even more exposure. • If your local business is new to the digital marketing game, PPC ads can give you a much-needed push as you build up your other digital assets such as your web content, SEO, and social media marketing. • AdWords connects you with people who have a high level of buying intent. This means, when someone clicks on your ad and lands on your website, they are likely to be interested in making a purchase soon. When someone asks Siri on their mobile device, or enters in the keyword on their laptop, “Where to stay while in Bangkok on a budget” or “Where to spa in Thailand” they are probably ready to book a room or a spa package right away. When your business shows up on Google Maps on their phone or desktop, they can click on the phone icon and call you right away. That level of convenience will drive serious business. With AdWords, the trick is to take a strategic approach in order to get the best results. You don’t want to set up a campaign and end up having to pay for clicks that may not necessarily be leading to sales. If you’re not sure where to start, a professional AdWords management service in Thailand can guide you on the right direction. Depending on the unique characteristics of your business and your target audience, your PPC campaigns may or may not be straightforward. Here are some steps you can take to optimise your experience with AdWords and to help you get the most bang for your PPC dollars spent. 1. Start with your intent. Have a specific goal in mind for your ad, whether it is to encourage a phone call, a purchase, an in-store visit or a sign-up on your landing page. 2. Do your keyword research. You can use tools like Google’s Keyword Planner and Answer the Public to find the popular keywords searchers are using in your niche. 3. Research your competitors. Pay attention to what keywords your competitors are using for AdWords ads. You can use a tool like SpyFu to research both targeted keywords for AdWords and for organic search. 4. Research your current customers and market. This is one of the most important parts of developing a smart AdWords strategy. You can find invaluable information by reading online reviews, talking to customers, and paying attention to what gets the most engagement on your social sites. For example, if past customers are raving about your local coffee shop’s free Wi-Fi on Wongnai and Facebook, you may want to use this information in your keywords. You could use ‘best coffee shop free wifi in Bangkok’ instead of ‘best coffee shop in Bangkok’. • Use Ad Extensions to create richer looking ads, drawing more attention to your local business. • When you set up your account, you’ll choose a campaign type. For local businesses, consider using “Search Network Only”. This option tends to offer higher conversion rates as it allows you to only target people looking specifically for your service. • Optimise your landing pages for your ads. Make sure the page searchers land on after clicking on your ad offers a clear, easy-to-find call-to-action that shows potential customers their next step. In the earlier example of the local international school, when people land on the St. Andrews International School landing page, they can see the CTA buttons in bold yellow contrasting against the blue. This high visibility and relevancy to the ad is great for generating leads. Most people are using Google search when they want to discover a nearby business or to find out more about your brand. This means, using the resources Google has available to local businesses like yours will give you a competitive edge. Most of these searches are taking place through Google, with only a small portion being divided up between Yahoo, Bing, and other search engines, making AdWords the platform to use for digital advertising for local and small businesses. Google owns a whopping 71% of the search market share. Even if you haven’t set up your Google AdWords account yet, other local businesses have. Many of your competitors are probably already using pay-per-click services in Bangkok and reaping the rewards. AdWords is just one more digital marketing tool that you can use to connect with your customers and grow your business. But, as a local business, trying to compete with other local brands, as well as big-budget brands that may be in your niche and your location, the potency of well-planned AdWords campaigns can be a lifesaver.